It's bold, fun and very, very green. Wicked is sure to put a spell on you. Hit musical Wicked is a magical theatre experience with lavish hi-tech sets, costumes featuring every bit of the rainbow, and a cavalcade of lovable characters. 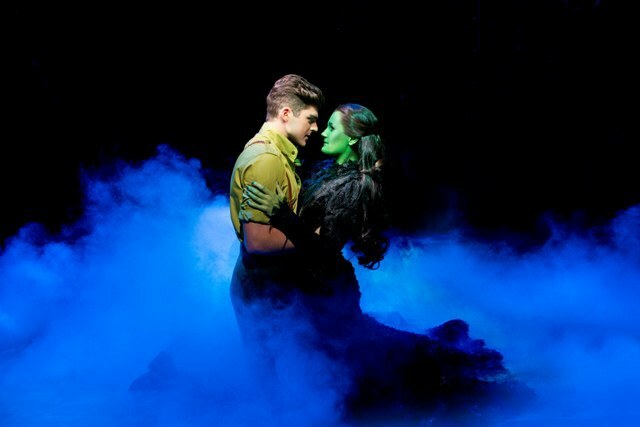 Stopping off on its UK tour at Birmingham Hippodrome for the summer, The Wicked UK Tour stays in the city until September 6. The show opens with technical wizardry that continues throughout. A huge dragon comes alive above the stage and Glinda the Good descends on a mechanical contraption to the news the Wicked Witch is dead. Amid the celebrations, it emerges that Glinda was once friends with the Wicked Witch - Elphaba - which sends us reminiscing into the past to when the girls first met at school. What's clever about Wicked is that it takes the story of the Wizard of Oz and weaves it into the musical while also turning everything you once thought about the characters on its head. You'll even see the flying monkeys in a different light once it's all over. 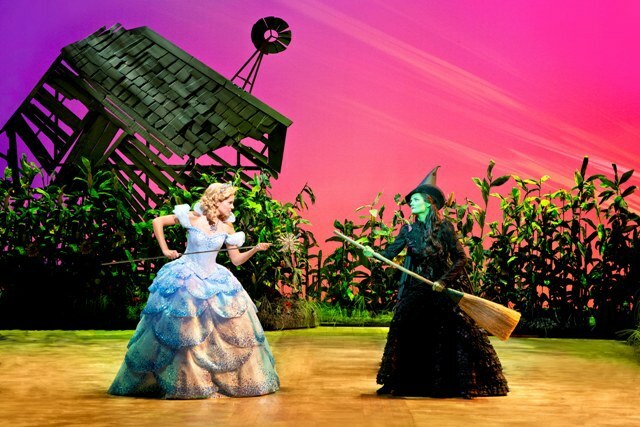 Is Elphaba really wicked or is it evil propoganda by the Wizard of Oz? Has Glinda always been good or just a spoiled rick kid who always got her own way? Through dazzling vibrant scenes that end up in the practically psychedelic Emerald City, we journey through a light-hearted adventure about being true to yourself, your morals and your heart, which all the family will adore. To start with, there's almost a Harry Potter meets Clueless feel to the first section as we see shallow, blonde Glinda form a bond with independent, headstrong and very green Elphaba at school. But amid the glitter and magic, there's a slight undercurrent in the classroom of persecution and bullying - but it never gets too heavy as there's also parties, romance, big dresses and lots of sparkly shoes. For me, the songs were not the strong point of this show. Although entertaining enough, there was only one - Defying Gravity - that stood out as one that could stand the test of time. That song comes ahead of the interval in a climatic show-stopping moment - probably the best scene in the production - when we see Elphaba first fly on a broomstick. After the interval, it has a slightly darker edge as we move away from school to years later when all our leading characters must choose between right and wrong. There's plenty of surprises in store and familiar faces from the Wizard of Oz making a reappearance. 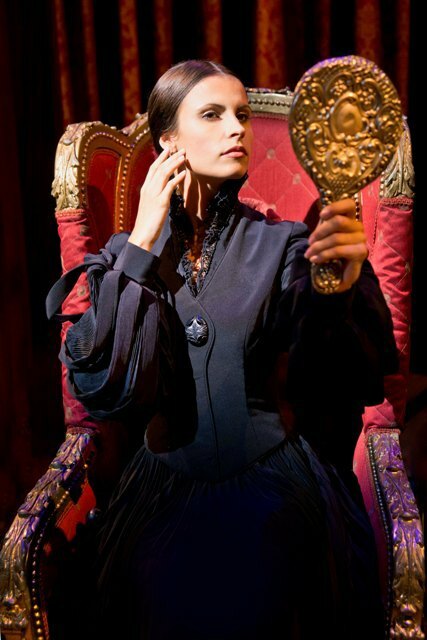 Jemma Alexander was standing in as Elphaba in the performance I saw and was superb in her acting and singing abilities. She is understudy to Nikki Davis-Jones who normally plays the part. Emily Tierney as Glinda is strong on her comedy skills as she reels off most of the fun one-liners in a show that at times verges on panto. Meanwhile, Liam Doyle is a strapping hero as Fiyero with impressive dance moves. The whole production is big-budget that dazzles. However, it's not the type of musical where you will remember the songs. Instead, you will remember the characters, the vibrant colours and the wondrous special effects that take you to a whole other world. The world of Oz. Birmingham Hippodrome - July 9 - September 6. Book online at the Birmingham Hippodrome website or call 0844 338 5000. Well worth seeing if you can. It was not the kind of show I would normally choose but probably one of the best.